Texas is the most beautiful state or province in North America! It covers greater than 250,000 square miles of prairie, forests, canyon lands, rivers, streams and ocean. It is not only ecologically diverse it is culturally radiant due in no small part to its shared border with Mexico. Texas is home to a vast array of wildlife with opportunities to view and commune with nature around every bend. Texas is at a critical point in its history in terms of nature. Today, life is slightly different than when settelers first arrived. While some species are still abundant some of our most treasured wildlife species are at crossroads. Through the efforts of wildlife biologists and caring citizens, many of these species will remain a constant source of pleasure for generations to come. However, without some help and care, these species could end up going the way of the passenger pigeon. A sure example of this is the Atwater’s prairie chickens on the coastal plains. With less than 70 individuals, a catastrophic event could place them into the history books in the category of what once was. If it was not for the help of Texas Parks and Wildlife biologists, caring Texans, private landowners, and partners like the Houston Zoo, this species might already be gone. The state’s Comprehensive Wildlife Conservation Plan provides an exhaustive description of texas’s biodiversity as well as conservation challenges and opportunities. Lightning-Season Burning - Friend or Foe of Breeding Birds? East Gulf Coastal Plain Joint Venture (EGCPJV) prescribed fire communications strategy. Developed with input from more than 45 prescribed fire/resource management experts throughout the East Gulf Coastal Plain, as well as guidance from the EGCPJV staff and board, the Strategy focuses on achieving three overarching policy, outreach and education goals that address current impediments to the use of prescribed fire. A total of 30 prescribed fire messages designed to achieve those goals provide background and detailed supporting information to serve as a flexible foundation for future communications and initiatives. Policy Resolution 13-04: Western Governors direct the Western Governors’ Wildlife Council to continue its guidance in the development, management and implementation with partners of the state and West-wide CHATs. Western Governors also urge federal agencies to use state fish and wildlife data and analyses as principal sources to inform their land use, land planning and related natural resource decisions, rather than spending scarce resources duplicating existing state data collection efforts. This first annual “State of the Bobwhite” report by the National Bobwhite Conservation Initiative (NBCI) and the National Bobwhite Technical Committee (NBTC) provides a snapshot of the population, hunting, and conservation status of the northern bobwhite, Colinus virginianus. This report provides an assessment of range-wide bobwhite population and hunting activity trends as well as state-by-state population, hunting, and management status summaries. Also featured are key perceptions of state quail coordinators on the trends and current status of quail conservation efforts in their state. These data were compiled in 2011 for the NBCI State Agency Inventory Project. Fire has shaped Louisiana’s landscape for thousands of years. Native Americans set fires to reduce “rough” vegetation, improve hunting areas and create space for crops. Many fires were started by lightning strikes during spring and fall dry seasons. Even during periods of summer rain, lightning ignited fires in grass, dry leaves and at the base of trees. Across much of Louisiana, these fires maintained coastal prairie, longleaf pine and shortleaf pine/oak/hickory ecosystems. Wildlife was nourished by the diversity of plants that flourished in areas that were frequently burned. The short intervals between fires prevented large accumulations of fuel. This reduced the occurrence of intense fires that could damage or kill large expanses of trees. In February 2013, the Gulf of Mexico Fishery Management Council requested the National Marine Fisheries Service (NMFS) promulgate an emergency rule for the 2013 recreational red snapper season. This emergency rule was implemented on March 25, 2013, and allowed for implementation of state-specific closure authority of the federal exclusive economic zone off states not adopting consistent federal recreational red snapper regulations. The United States Department of Agriculture (USDA) offers a suite of Farm Bill conservation programs and practices that provide incentives to enhance environmental quality on privately-owned agricultural lands. In 2004, the USDA Farm Service Agency (FSA) initiated conservation practice Habitat Buffers for Upland Birds (CP33) under the continuous sign-up Conservation Reserve Program (CRP) to target recovery of northern bobwhite (Colinus virgianianus) and other upland bird species in row-crop agricultural landscapes. This was the first CRP practice designed specifically to help meet recovery objectives of a large-scale wildlife conservation initiative and the first to require a wildlife monitoring component as part of its practice directive. The FSA initially allocated 250,000 CP33 acres to 35 states (increased to 350,000 acres in 2010) to be actively managed over a period of 10 years and charged the Southeast Quail Study Group (SEQSG, now National Bobwhite Technical Committee) with development of a coordinated CP33 monitoring protocol to generate measures of population response for northern bobwhite (Colinus virginianus) and other priority bird species at multiple spatial scales. The term “early successional habitat” describes the shrubs, trees, and other plants that grow back on the land after older vegetation has been removed or cut back. We can visualize this important habitat type as all the stages of plant growth from open grasslands to young forest. Historically, these habitats were created by natural disturbances, extreme physical conditions such as poor soils or harsh climates, the abandonment of agricultural land, and logging. In recent years, human development has greatly reduced the amount of land available to wildlife, and many of the disturbances that once gave rise to early successional habitat – fire, extensive areas of flooding caused by beavers, and heavy logging – have been suppressed (Trani et al. 2001). As a result, populations of wildlife that need early successional habitat have fallen drastically (Litvaitis, 1993; Thompson & Dessecker, 1997). Concerns about conservation of the tropical rainforests and other well-known regions of the world are widely publicized, yet a region of inestimable biological wealth lies relatively unrecognized on the back doorstep of North America. The region lying south of a line from Port O’Connor to Victoria, northwest to San Antonio and west to Del Rio known as “South Texas” is one of the most biologically diverse regions in the world (Fig. ). In fact, it is termed “hyper-diverse” by many ecologists. We feel that conservation of this biological treasure is of urgent concern to policy makers, nature enthusiasts, and the general public throughout the region and nation. Because virtually all land in South Texas is privately owned, incentives are needed that enable landowners to retain ownership and keep the habitat in an unfragmented condition. These incentives might include conservation easements and tax breaks for wildlife conservation or business ventures focused on outdoor recreation. Methylmercury is a form of mercury that is found in most freshwater and saltwater fish. In some lakes, rivers, and coastal waters in California, methylmercury has been found in some types of fish at concentrations that may be harmful to human health. The Office of Environmental Health Hazard Assessment (OEHHA) has issued health advisories to fishers and their families giving recommendations on how much of the affected fish in these areas can be safely eaten. In these advisories, women of childbearing age and children are encouraged to be especially careful about following the advice because of the greater sensitivity of fetuses and children to methylmercury. Fish are nutritious and should be a part of a healthy, balanced diet. As with many other kinds of food, however, it is prudent to consume fish in moderation. OEHHA provides advice to the public so that people can continue to eat fish without putting their health at risk. ABSTRACT—Assessing numerical response of northern bobwhites (Colinus virginianus) to habitat improvement in semi-arid rangeland often is confounded by responses of populations to highly variable patterns of rainfall. During 2 years of above-average rainfall, we investigated abundance of northern bobwhites relative to type of range and treatments to reduce brush on seven ranches in southern Texas. We expected response of populations to treatment of land to be more evident when northern bobwhites were released from constraints of low precipitation. However, main factors dominating abundance were rainfall during the previous growing season and type of range. Greatest numbers of calls were in mid-productivity rangeland (potential production of forage 2,000–3,900 kg/ha), especially sandy loam, clay loam, sandy, and gravelly ridge. Treatments to reduce brush increased abundance of northern bobwhites to a limited extent and were most effective when large blocks of land were treated. Techniques that kill brush (root-plowing) were more successful in increasing populations than top-removal methods (roller-chopping). Leaving strips or mottes (large clumps of living brush and trees) in cleared areas did not enhance populations, although we caution that retaining some brush cover may be important to survival of northern bobwhites in drier years and in situations where herbaceous cover is less abundant. A range-wide sampling framework and survey method is being developed to estimate total abundance of active leks for the population of LPC. In addition, standard operating procedures are being developed for aerial surveys and ground truthing surveys. The methods are being developed with the assistance of core members of the Lesser Prairie-Chicken Interstate Working Group (LPCIWG). It is anticipated that the plan will be implemented in a pilot study in the spring of 2012. This study plan and results of the pilot study will provide managers within the Great Plains Landscape Conservation Cooperative (GPLCC) a more consistent approach for trend analyses of abundance of LEPC leks across the species’ range. Lesser prairie-chickens and greater sage-grouse depend on large prairie and steppe landscapes shared by agricultural producers, primarily ranching operations. Historically, their ranges were vast, but today wild prairies have dwindled by 90 percent, and sagebrush steppe by 50 percent. Stressors on these landscapes continue and include energy development, subdivision, invasive species, and drought. As a result of this reduction in available habitat, the two species have been added to the list of Candidate Species for Endangered Species Act protection. This document describes the different habitat requiremenst of the LPC. It includes descriptions of nesting habitat, brood-rearing habitat, fall/winter habitat, LEPC diet, and predators/diseases. This document provides a brief description of the different habitat types or land uses that occur in the Southern Great Plains and their relative importance to the LPC. Included are rangelands, riparian, croplands, and Conservation Reserve Program land uses. The goal of the protocol is to consistently monitor trend in vegetation structure on individual properties voluntarily applying management under initiative contract. Closely follow the directions to allow the data to be combined across the ecological regions and assess trend in vegetation at a landscape scale. Monitoring and vegetation protocols below address the Conference Report’s guidance on assessment and monitoring protocols that the SWAT and FO will perform on individual properties. Proposed rule; revision and reopening of comment period. Lesser prairie-chicken (Tympanuchus pallidicinctus) ECOS profile. 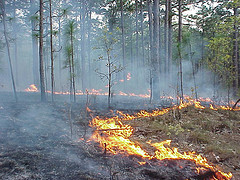 According to the Mississippi Prescribed Fire Council, periodic fire played an important ecological role in shaping southern forests and grasslands. Longleaf pine is the premier example of a native Mississippi ecosystem adapted to fire. It is also a relict landscape, having been largely replaced with loblolly pine. At one time, longleaf pine forests covered 90 million acres across the Southeast, but now only scattered remnants totaling 3 million acres remain. Most are privately owned. This document is a comprehensive range-wide conservation plan (RWP) for the lesser prairie-chicken (Tympanuchus pallidicinctus; hereafter LPC). The goal of the RWP is to conserve the LPC for future generations while facilitating continued and uninterrupted economic activity throughout the entire five-state LPC range. The RWP identifies a two-pronged strategy for LPC conservation: (1) the coordinated implementation of incentive-based land owner programs, and (2) the implementation of a mitigation framework which reduces threats and provides resources for off-site conservation. The Texas Conservation Action Plan's purpose is to provide a statewide "roadmap" for research, restoration, management and recovery projects addressing Species of Greatest Conservation Need (SGCN) and important habitats. "SGCN" include terrestrial, freshwater, and marine birds, mammals, reptiles, amphibians, invertebrates (like insects and freshwater mussels), fishes, plants and plant communities. The goal of the Plan is ultimately to conserve and improve the status of these species and, as possible, prevent listings under the Endangered Species Act. The Conservation Action Plan has elements for anyone interested in conservation in Texas, not just Texas Parks and Wildlife Department (TPWD). Whether you grow tomatoes, irrigate rice, sell sod, raise cattle, tend orchards, own forest, cut timber, run a hunt club or feed wildlife, in some way you manage habitat. “Best management practices” (BMPs) are available to assist landowners with planning, implementing and managing their land. Developed by experienced practitioners, and management and research organizations, these management tools are based on the best available science. BMPs will often save landowners money in the long term even as they improve conditions for wildlife in the short term. The following are a selection of BMPs culled from various national, regional, state and local sources. Each is available for download as a pdf. Northern Bobwhites (Colinus virginianus) were once common, even abundant, on farms, rangelands and forests across more than 30 states. Bobwhites have declined an average of 3% per year since 1966, and have virtually disappeared from some northern states. The last strongholds are portions of the western states with significant native habitats and quail-friendly land-use patterns, or other locales where bobwhite management is a priority on agricultural or plantation lands. Over most of the species’ range, the decline of wild bobwhite populations has relegated quail hunting to memories. The next few decades may be our last opportunity to halt the declines, stem widespread localized extinctions of bobwhites, and restore populations enough to create new memories for many. BMPs oriented more specifically toward farming & agriculture, energy efficiency and invasive & native species are also available on this site. A new Central Texas wildlife park is set to open in May. Construction is underway on a stretch of President Trump's border wall cutting through the Lower Rio Grande Valley National Wildlife Refuge in Texas. New research shows that surveyed animal populations have declined by more than 50 percent on average in the last two generations. The horned lizard, the state reptile of Texas, is up against a myriad of threats. Scientists are hoping reintroduction will help it survive. A sprawling, high-fenced, 18000-acre preserve is home to over 60 different species of majestic animals, including giraffes, Cape buffalos and gemsbok. South Texas' largest exhibit of rare, endangered, common and extinct taxidermy birds of the world on display at the Welder Foundation in Sinton. Applications are being accepted for the Texas Brigades leadership camps. Located throughout Texas, these camps serve youth 13-17. Click to learn more. In the Rio Grande Valley of Texas, endangered animals and plants ranging from big cats to rare bats face threats to their habitats posed by wall construction. The Texas Parks and Wildlife Department released more than 140 Texas horned lizard hatchlings Wednesday in a state park. More than 200 species make their homes at America's most diverse sanctuary, but construction through the reserve could begin in February. The Department of Homeland Security is moving forward to build 17 miles of border barriers through protected areas in Texas. Razor wire laid at the U.S.-Mexico border endangers gray wolves and rare jaguars, cutting them off from food, water and mating partners, environmentalists said. Rockport fly guide Chuck Naiser tapped by TPW Foundation as Untamed ambassador for Texas conservation campaign. A biologist explores the route of the White House's proposed border wall by canoe and horse. They're cooler than the zoo, and cheaper than a trip to Africa. Hunting Enthusiasts Pack Convention Center Raising $300K for Charity San Angelo LIVE! A wall slated to be built on the U.S.-Mexico border threatens the land that is home to the largest butterfly center and other wildlife. Camera traps in a south Texas wildlife refuge spotted a new ocelot roaming through the park. Only about 50 individuals have been identified in the state. Flocks of American white pelicans are sailing slowly across our skies in a glorious procession. They migrate from breeding grounds in the northern Midwest. A visit to the crown jewel of the national wildlife refuge system, now under threat from Trump's wall, reveals a harsh landscape teeming with life. A sixth generation rancher defends the Endangered Species Act as 'a much needed incentive' for conservation.